Hello there!!! 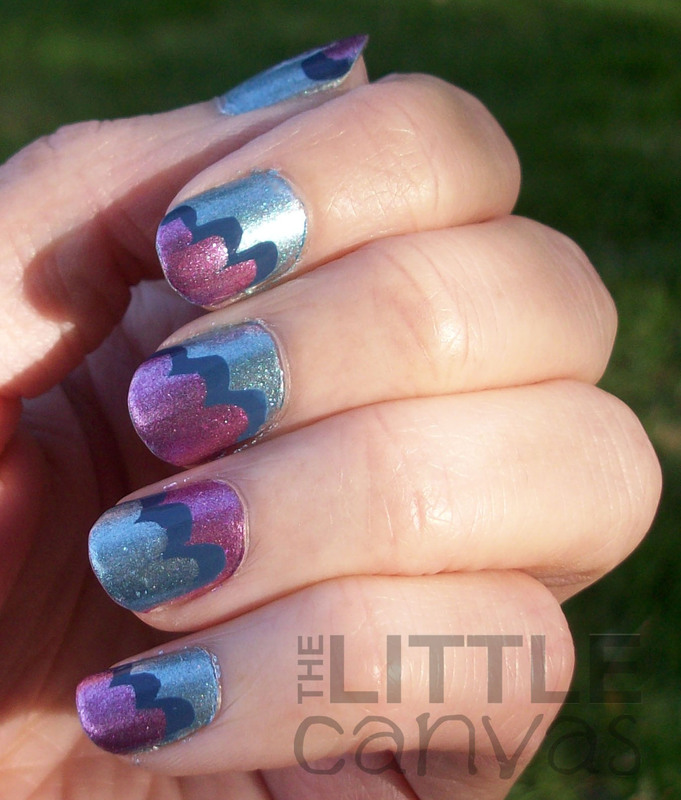 Today I bring you Metallic Day, or as it is known, Day 9 of the 31 Inspired Days of Nail Art Challenge! I own 10 different metallic polishes, including 2 crackles, so for me finding a polish was not going to be too difficult. As me to find a jelly though, it's nearly impossible in my collection. 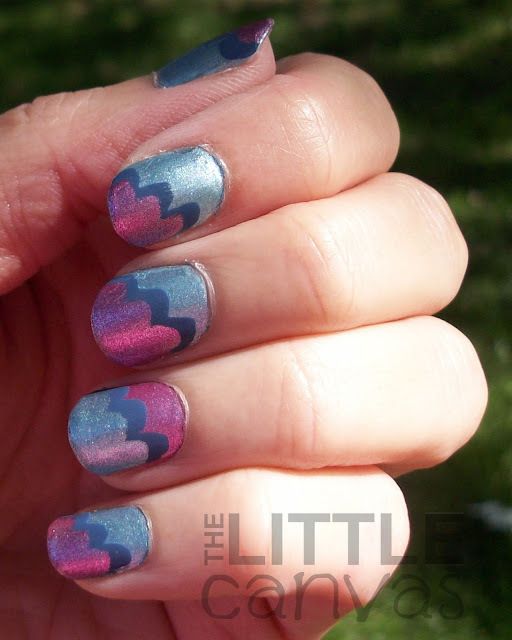 When I sat down to do this manicure, I pulled out all 10 of those polishes and began staring. What did I want to do....how was I going to use more than one of these polishes and not make my nails look like an obnoxious shiny, metallic mess. 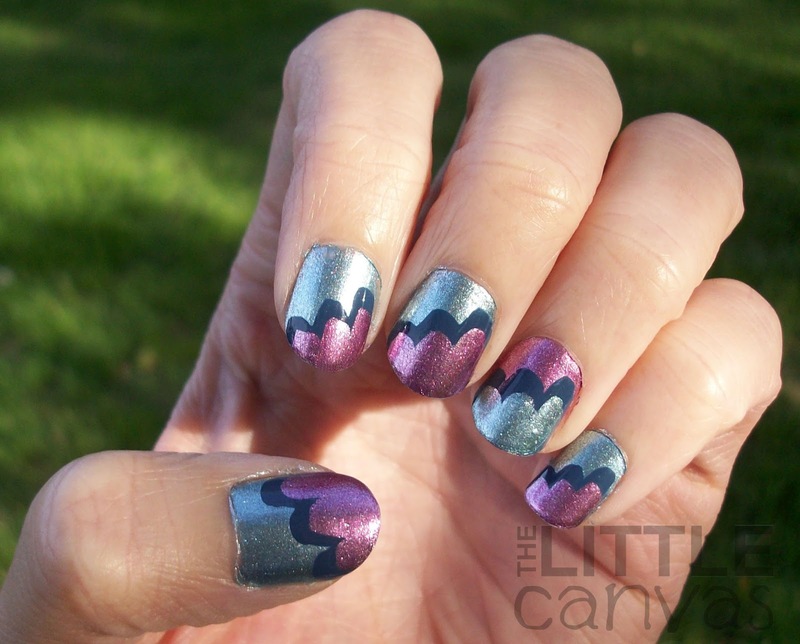 I remember seeing in my Twitter feed that @MrsManPolish newest love for what The Daily Varnish calls Scalloped Tips. This technique is also known as the "cloud" manicure as seen on the blog nailside. It is super easy to get this look!!!! Start with a base coat of whatever color you chose. 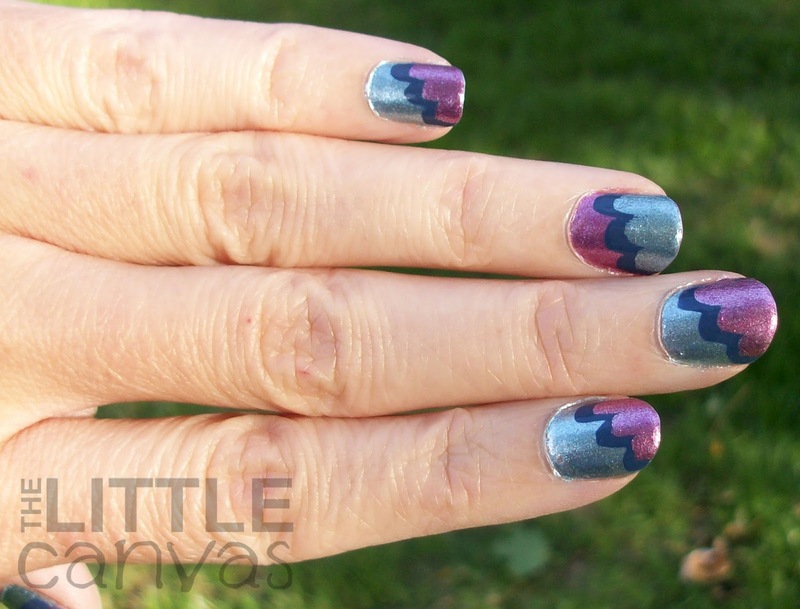 Then with your second color, using the bottle's brush place it 3/4 of the way up the nail. When it starts to form a rounded drip, stroke the brush downwards. Then do the same 1/2 the way down, then the last 1/3rd of the way down. With your third color, do the same thing. 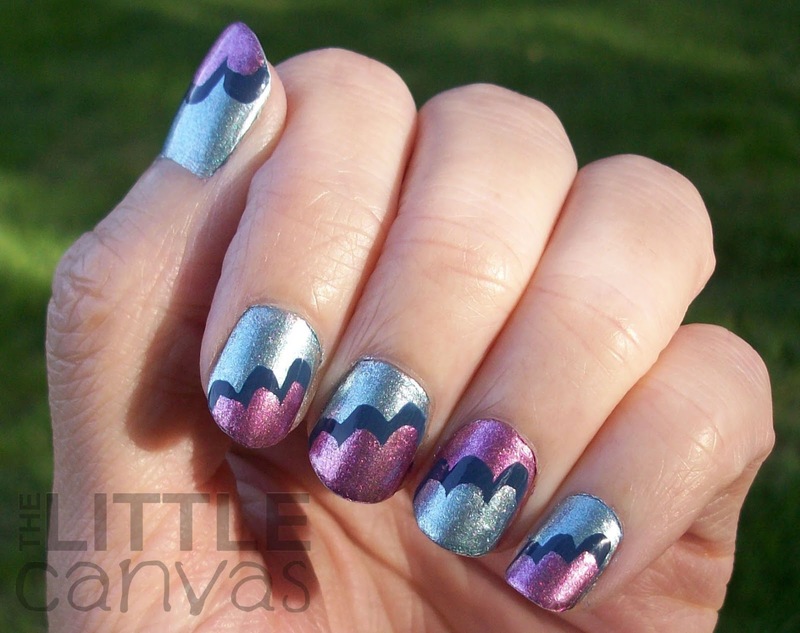 If you want to have a more ruffled look, you could do this technique with as many polishes as you want. 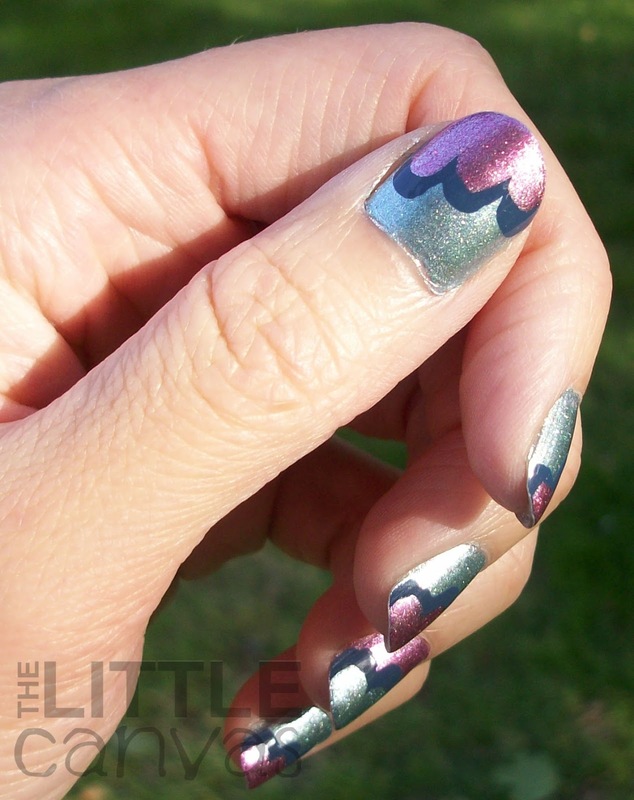 If my directions stink (which most likely they do) check out either The Daily Varnish's or Nailside's tutorials above! Which look do you like better?? Shiny or flatter? I loved both equally, I seriously could not stop looking at these nails!!! I cannot wait to do this technique again! So simple and eye catching! Have you tried? This is the 31 Inspired Days Challenge...don't forget to check out the other lovely ladies!!!!! Oooh I love these! Love the way the blue looks between the two metallic colors. So cool! I was going to do all three colors metallic, but the creme in between really made the manicure. The three metallic would have been too crazy. Thank you! 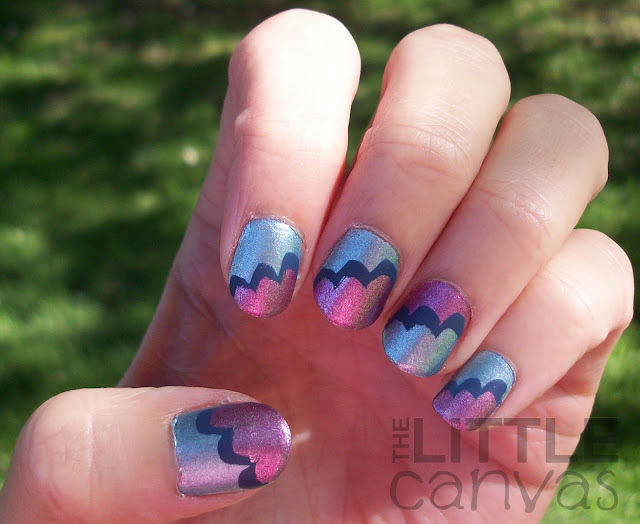 i loved it, and the matte top coat.. great idea. 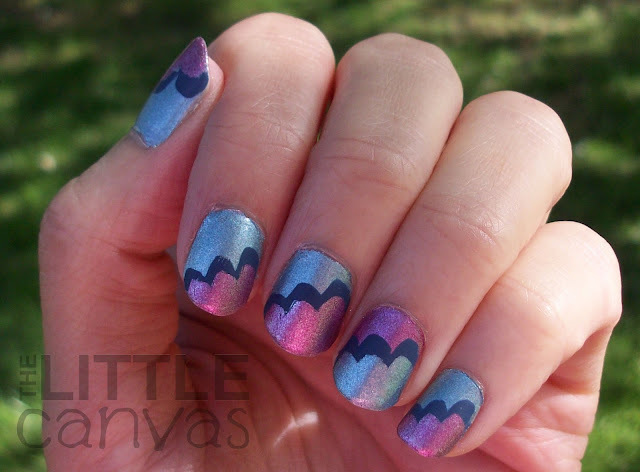 Cloud manis are the best, so easy and they always look awesome! I think yours look great. :) Also, LOVE the term "disasticure!"